Photos ourtesy of Pablo Argüelles Cattori, Huntington Beach, Northern Ireland and Scotland. 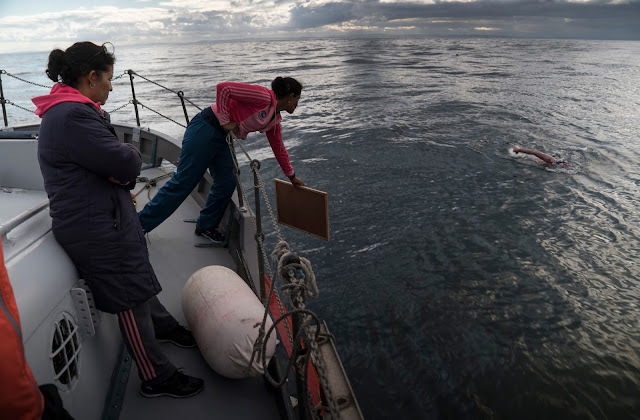 Antonio (Toño) Argüelles Díaz-González became the first Mexican and Spanish-speaking swimmer to achieve the Oceans Seven earlier today with a 13 hour 32 minute crossing of the North Channel. 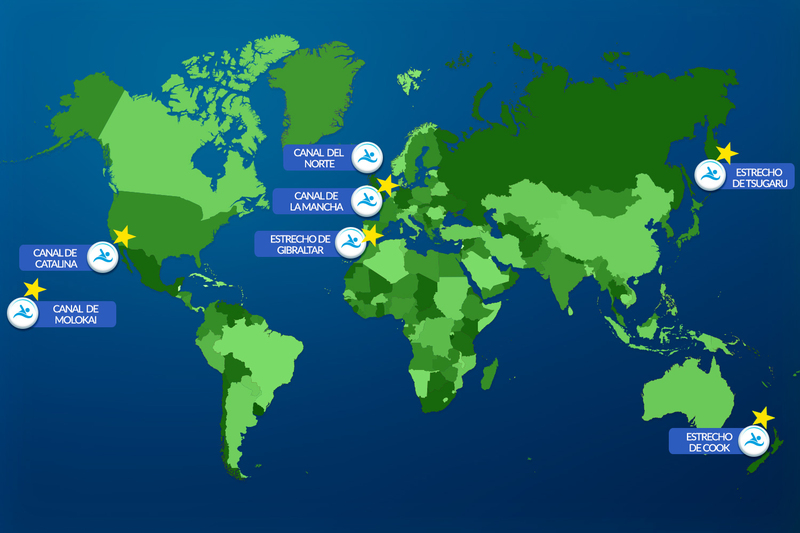 Following in the wake of Stephen Redmond (Ireland), Anna-Carin Nordin (Sweden), Michelle Macy (USA), Darren Miller (USA), Adam Walker (UK), Kimberley Chambers (New Zealand), Argüelles added to his remarkable endurance legacy. The México City resident has crossed the English Channel twice between England and France, the Catalina Channel 4 times, the Strait of Gibraltar between Spain and Morocco, the Tsugaru Channel in northern Japan, the Molokai Channel in Hawaii, the Cook Strait in New Zealand, and the North Channel in water that ranged between 13°C (55°F) and 14.5°C (58°F). He has also twice completed the Triple Crown of Open Water Swimming, completed 8 marathon runs, done 3 Half Ironmans and 5 Ironman triathlons. "But his achievements do not begin or end in rough water," said Steven Munatones. "For decades, his life has been about achievement and overcoming obstacles and odds through his own indomitable spirit. He balances all kinds of corporate, governmental and philanthropic activities while inspiring generations of Mexican swimmers of all ages and sharing his experiences through books and motivational talks." He has represented Mexico in pool swimming, moved to California as a teenager and graduated from Stanford University. Later while he has written several books ranging from public administration and technological education to swimming (A cada brazada: el azul interminable or At Each Stroke: The Endless Blue, co-authored with Nora Toledano), he also served as the General Director of Colegio Nacional de Educación Profesional from 1994 to 2000, and Undersecretary of both Ministry of Trade (Secretaría de Comercio y Fomento Industrial) from 1989 to 1993, and Ministry of Finance (Secretaría de Hacienda y Crédito Público). Currently, he is CEO of Nueva Escuela Tecnológica, a project that brings low-cost, quality education in several districts of Mexico City. "In addition to his accomplishments in the open water around the world, he also founded the Mexican Triathlon Federation in 1989 and continues to serve as its honorary president since 1995. He was awarded the Golden Shoe Award by Runner's World magazine in 1993 and has committed himself to boost an active lifestyle among the Mexican population while frequently giving inspirational speeches where he uses his experience in sports as a way to promote physical activity. 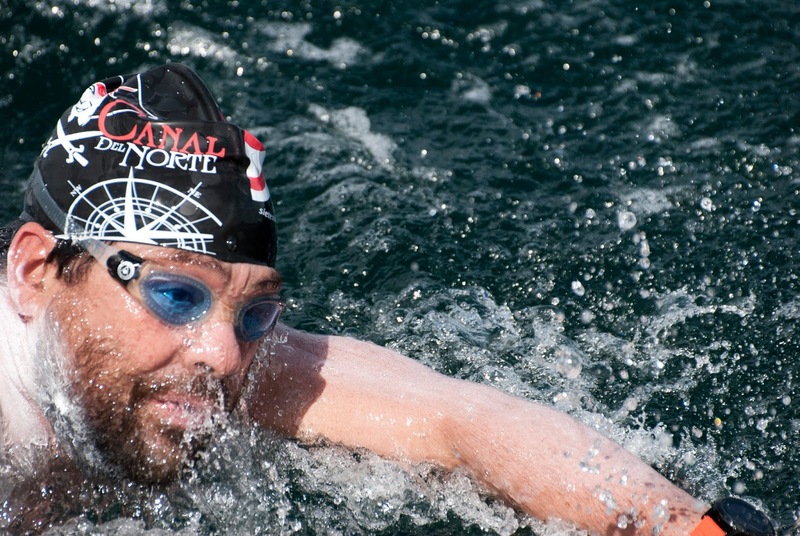 Antonio is arguably the most interesting man in the open water swimming world. He is certainly one of the sport's most accomplished Renaissance Men. 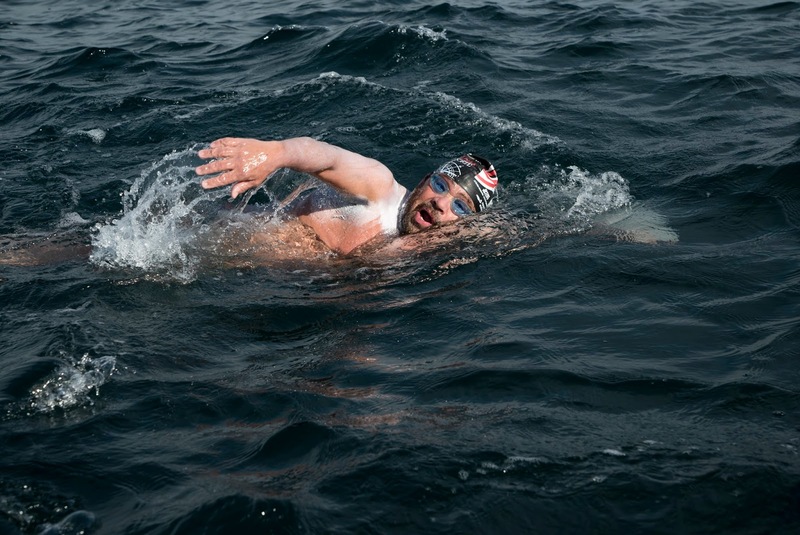 He is also the oldest individual - by far, at the age of 58 - to complete the Oceans Seven." 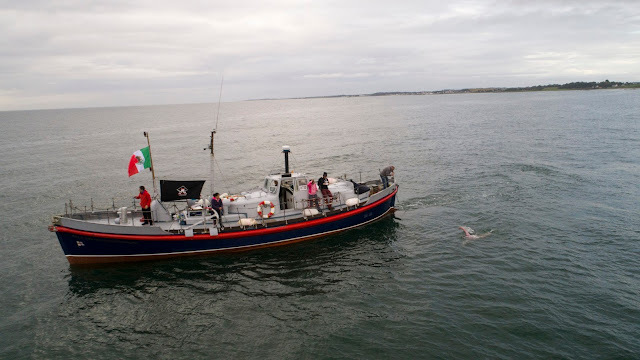 Argüelles describes the last few days of his experience in Donaghadee. 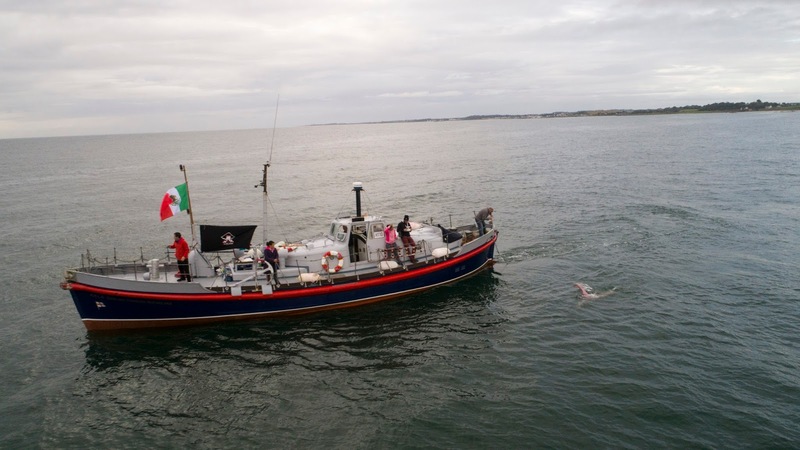 "I finally had a chance to get into the water and give it a try crossing the North Channel. Last night, Quinton Nelson said it was a no go until 7 am this morning, but we would see what the weather looked like. I woke up at 5 am to cloudy skies and rain from the night before. Obviously I said yes and from there we went to the boat around 7:15. 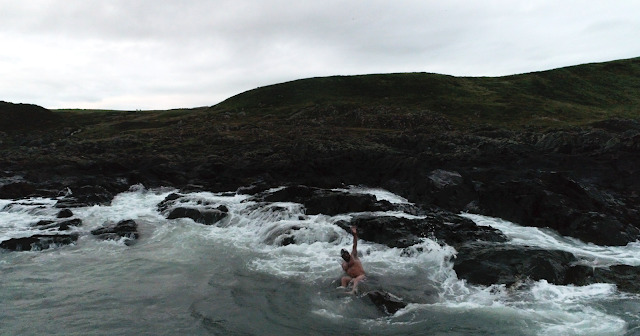 As I entered the water, the temperature was 13.3°C. The first three hours were hard; my stroke rate at 60. As the sun came up, the temperature rose up to 14.5°C for about 30 minutes that was the highest it became. The average temperature, I think, was around 13.8°C. Another turning point was breaking through the currents on the Scottish side. I had current coming directly at me which made me stay in place for around 1 hour. Landing on the rocks was really scary, but one thing that is clear to me is the fact that if you want to succeed here, you need luck and lots of cold-water training." For more information on his achievement, his website is here.